Jordan Brand is looking to take spotlight once again with the release of another colorway of the Jordan Flight 45 High Max this October. After being released in two edition featuring Jordan Brand stars Dwyane Wade and Carmelo Anthony, the Jordan Flight 45 High Max will be released in Stealth/Court Purple – Black – White colorway. 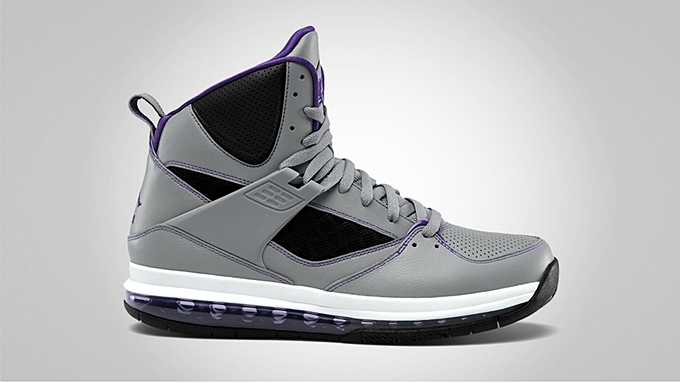 This performance-based kick features an eye-catching stealth upper part with black areas and court-purple lining and Jumpman branding on the tongue. Expect this kick to come out early next month and make sure to get your own pair immediately!